Whether you’re raising a pup or caring for an older dog in its autumn years, the food you feed your Labrador is of paramount importance. We often recommend the Proactive Health Labrador Retriever formula from Iams for both puppies and adults, although owners of senior dogs may wish to consider Instinct Raw Boost Senior Chicken instead. We’ll be covering the pros and cons of both formulas, along with those of some alternative recipes, in this article. 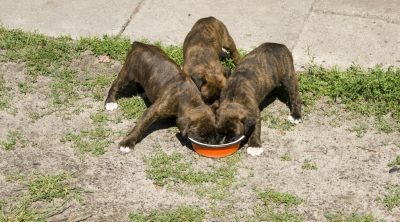 Here are the best dog/puppy foods for labs. Labrador Retrievers aren’t exactly picky when it comes to what they eat, which is why you need to be picky about what you feed yours. Rely on an inferior formula to keep your Labrador’s belly full and you will put them at risk of a variety of health conditions. In the below buyer’s guide, you’ll find a couple of things that you should keep in mind when searching for the right recipe for your Lab. While adult Labradors certainly require more food than many smaller breeds, three or more meals a day should be avoided. 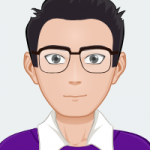 Most formulas will feature a recommended schedule on their packaging, but experts generally agree that a fully-grown Labrador Retriever should be fed once in the morning and once in the evening if bloat is to be avoided. Overweight Labs should be fed about a third less than what is suggested on the packaging of your chosen formula. For Labrador puppies, we recommend four small meals a day as opposed to two large ones as the latter often causes vomiting and diarrhea in juveniles. Keep scheduling in mind when shopping for a formula for your Labrador Retriever. If you are feeding a single dog, there is no sense in committing to a 30-pound bag that is going to take you weeks to get through, during which time mold may develop on the kibble. You may have noticed our use of the word “kibble” in the final sentence of the previous section. This is because we are advocates of dry food over wet food when it comes to feeding Labrador Retrievers. 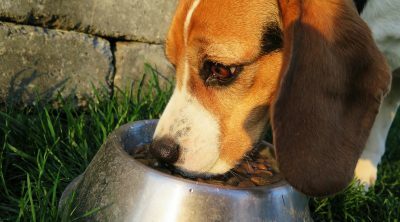 Dry food is less taxing on teeth and limits the development of plaque. Meanwhile, dry dog food is less messy than wet dog food and remains fresh even after it has been left out in the open for an extended period of time, which means you can pour both of your Lab’s meals for the day before you leave for work. Dry dog food will also appeal to you if you’re trying to feed your four-legged friend on a budget as it is generally less expensive than its canned alternative. In this video, you’re going to see a particularly enthusiastic raw food enthusiast citing the benefits of feeding your dog a raw diet. 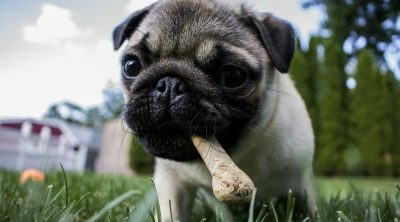 While there are certainly some noteworthy pros to raising a Labrador Retriever on a BARF diet, feeding your dog raw meat and bones isn’t such a great idea if they are an older dog and has subsisted its entire life on kibble. 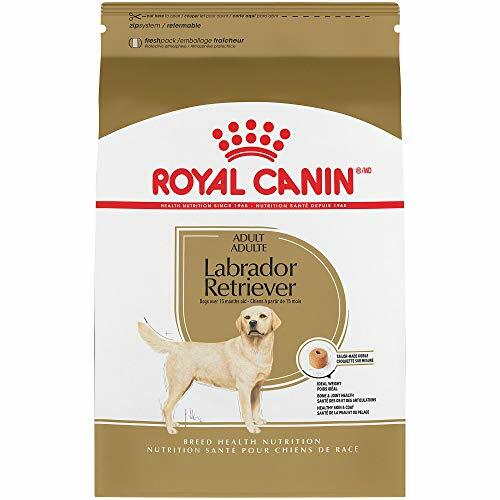 Royal Canin is one of the top names in the dog food industry and offers a number of breed-specific formulas, its Labrador Retriever formula being among the most successful of them. Royal Canin Labrador Retriever uses donut-shaped kibble to counteract the eagerness of the average adult Lab at mealtimes. This unique shape forces the eater to slow down and chew their food, which makes for less stressful digestion, which in turn combats bloat, constipation, and diarrhea. As large dogs, Labradors are at a high risk of joint issues. To reduce the risk of these issues, Royal Canin Labrador Retriever comes loaded with long-chain omega-3 fatty acids such as EPA and DHA. EPA and DHA also ensure your Lab’s coat looks its shiniest long after it should have greyed. Owing to the power of its name and the quality of its products, Royal Canin tends to charge quite a bit for its formulas. The brand’s Labrador Retriever offering will set you back $60 for a 30-pound bag, which might send you into the arms of another dog food manufacturer if you’re hoping to keep costs down. 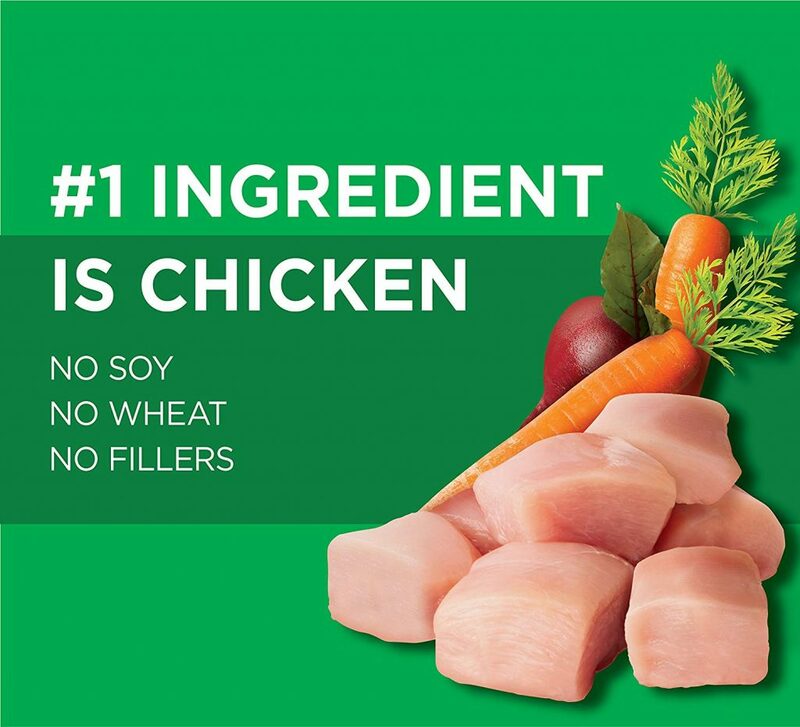 Rather than using pieces of real chicken, this formula features chicken meal as its primary ingredient, which isn’t quite as high in protein as the real thing. Eukanuba Labrador Retriever is another breed-specific formula, which gives it an immediate advantage over some of the other recipes to appear in this article. Because it was designed specifically for Labs, it features kibble which can be easily chewed, swallowed, and digested by the average adult Labrador. Meanwhile, the presence of Eukanuba’s unique 3D DentaDefense system drastically reduces the development of tartar and has been proven to return a dog’s teeth to pristine condition in less than 30 days. 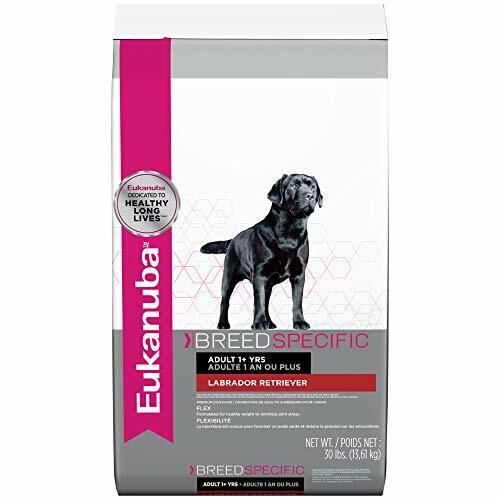 As well as being high in protein, Eukanuba Labrador Retriever boasts a high calcium count, which ensures your Lab’s bones stay just as strong as their muscles. Some Lab owners who have tried this formula have reported seeing a decrease in the shine of their dog’s coat after a couple of weeks, particularly those who switched to Eukanuba after using a Royal Canin offering. Others have reported loose stools and diarrhea, so you should pay extra attention for signs of digestive issues in the days and weeks after switching your Lab to Eukanuba Labrador Retriever. Grain-free dog food is becoming increasingly popular as it is less likely to cause or aggravate digestive issues in dogs, which is particularly advantageous when it comes to Labrador Retrievers as they are more prone to bloat than many other breeds. 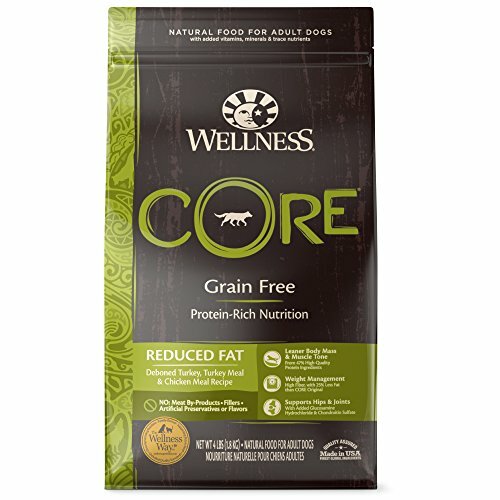 Wellness Core has become one of the most popular grain-free formulas on the market, with its deboned turkey, turkey meal, and chicken meal recipe proving particularly popular among owners of large dogs. As its name suggests, this formula boasts pieces of real turkey, which makes it more nutritious and more palatable than a formula containing only animal meal. Despite boasting 80% more meat than many alternative formulas, this Wellness Core recipe is low in fat so as to combat the weight issues which plaque larger dogs as they age. Because it is manufactured in the United States, you can be certain that this formula features ingredients far superior in quality to those of formulas manufactured in Asian countries, where health and safety standards are less strict. Many dog owners who have tried their Labs on Wellness Core Deboned Turkey, Turkey Meal, and Chicken Meal have reported a transition period of a week or more, which is more than a little inconvenient and time consuming. It should also be noted that this formula was designed for large breeds in general as opposed to Labrador Retrievers specifically. Wellness Core typically sells for close to $70 for a 26-pound bag, which makes it one of the most expensive formulas to appear in this article. 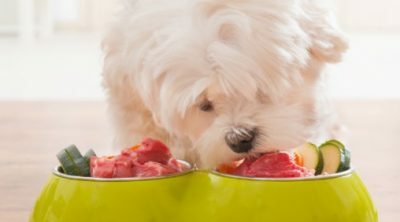 If your main concern in your search for the best dog/puppy food for Labs is keeping costs down, this formula from Nature’s Recipe may be what you’re looking for. 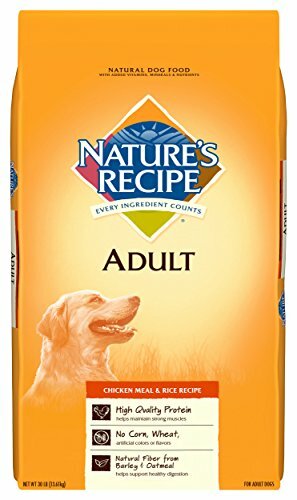 With a 30-pound bag selling for in or around $30, Nature’s Recipe Adult Chicken Meal and Rice is the single least expensive dog food formula to appear on this list. Despite its low price, Nature’s Recipe Adult Chicken Meal and Rice boasts a high fiber content to ensure healthy digestion. 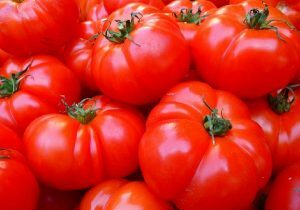 This fiber is derived from barley and oatmeal, which serves to make the formula more palatable. This recipe contains no wheat or corn and utilizes rice as its primary source of carbohydrates. Despite Nature’s Recipe’s attempts to round out the taste of its Adult Chicken Meal and Rice formula with barley and oatmeal, many Lab owners who have tried this formula have reported their dogs not appearing to enjoy the taste. 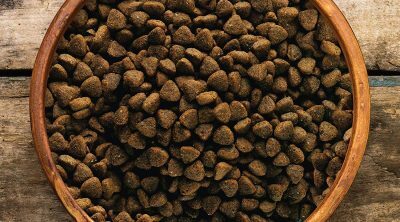 If your dog is a fussy eater to begin with, you’re likely going to have a hard time getting him or her to eat large amounts of this kibble. 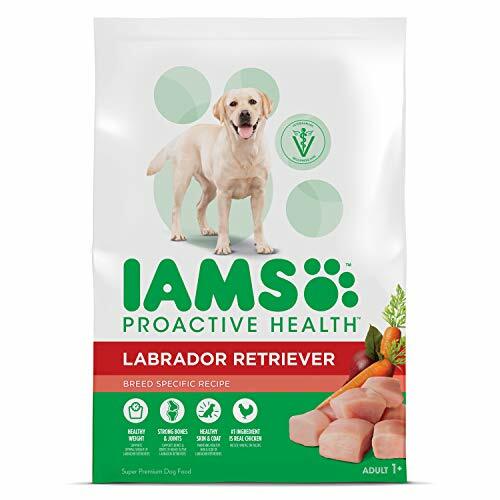 Iams Proactive Health Labrador Retriever has a legitimate claim to the title of Best Dog/Puppy Food for Labs and is often chosen by owners of juvenile and grown Labs alike. This formula features no soy or wheat, nor does it feature any of the other fillers commonly used to mask inferiorities in certain formulas. Instead, this recipe uses real chicken as its primary ingredient to ensure maximum protein intake for powerful muscles. It also promises to keep your Lab’s coat healthy and shining and their joints strong and flexible. Meanwhile, a blend of fiber and natural prebiotics tailored exclusively for Labrador Retrievers aids digestion and combats bloating, diarrhea, and constipation. Cash-conscious Lab owners should pay careful attention to this formula. With a 30-pound bag selling for under $50, it is one of the most affordable high-quality dog food formulas available. 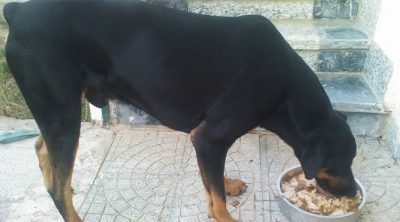 This kibble is a little bit larger than that of many other formulas intended for puppies because Iams Proactive Health Labrador Retriever is also intended for adult dogs. While it won’t be too much of a challenge for your Lab puppy, you may want to keep an eye on him or her during the first few feeding sessions to make sure they aren’t having any trouble breaking down or swallowing the kibble. 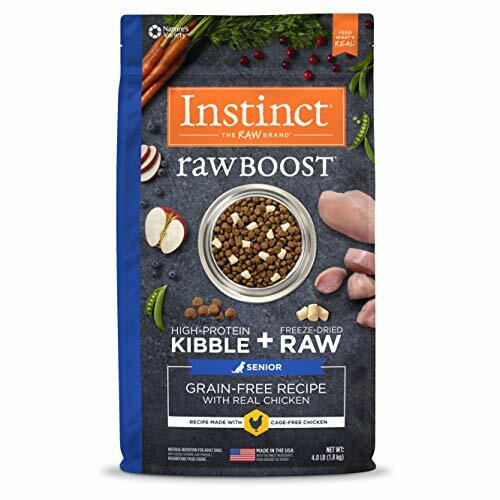 If you’re interested in trying your dog on a raw diet, you will want to pay careful attention to this offering from Instinct, the raw brand. Instinct Raw Boost Senior Chicken boasts pieces of freeze-dried raw chicken, which is complemented by high-protein kibble to ensure your Lab gets all the nutrients they need to stay happy and healthy in old age. Instinct used a grain-free recipe in the manufacturing of this formula, which means it is unlikely to cause digestive issues. The presence of natural DHA in this formula maintains eyesight and neurological function, while the presence of glucosamine chondroitin combats joint issues. Should you decide to try your Labrador Retriever on Instinct Raw Boost Senior Chicken, you should be prepared to drop some serious cash. Some sources ask for upwards of $70 for a single 21-pound bag of this formula. Transitioning a dog to a raw diet can be a bit of a challenge, but Instinct Raw Boost Senior Chicken promises the best of both worlds with its real pieces of chicken accompanied by high-protein kibble. Because of its high protein content and its contributions to neurological performance, this formula should at least be considered by owners of older labs. For those who own a juvenile Lab or a Lab in the prime of its life, there is the Proactive Health Labrador Retriever formula from Iams. Although you should avoid it in the early months of your puppy’s life, a dog can be reared on Iams Proactive Health Labrador Retriever from its juvenile years into and through maturity.